In many parts of the USA, folks hold “Christmas in July” parties. These parties take your mind off the heat of summer. Although Christmas is far off, it’s fun to dream and imagine about this fun time of year during July. 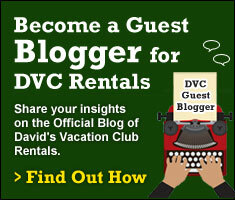 This blog will attempt to distract you from the humidity and warmth most parts of the country experience this month. Additionally, for those planning a visit to Walt Disney World during Christmas this year (or in the future), you can see/make plans for some of the things you can look forward to. So, let’s celebrate Christmas in July by going to Disney World and discussing the many things you can do at the “Happy Place” during the holiday season. The celebrating and decorations start right after Thanksgiving and remain up until approximately the first week of January. 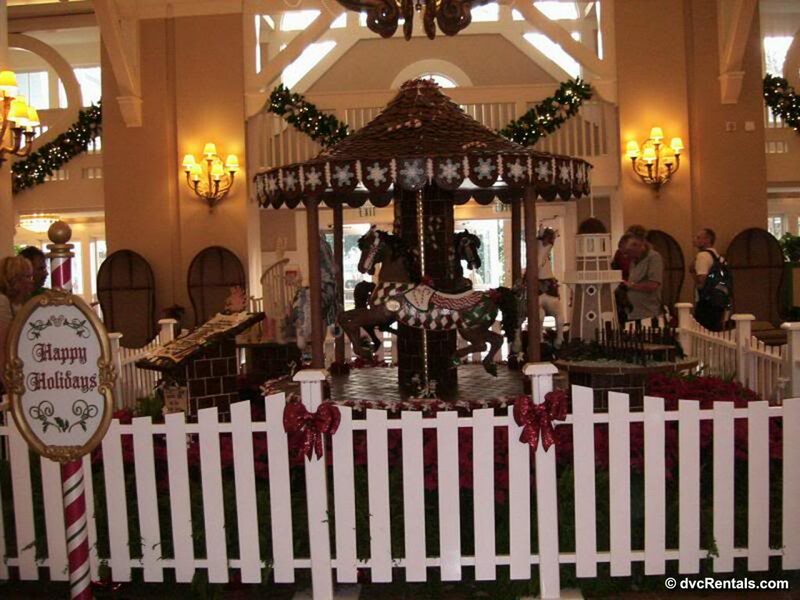 If you are staying at a Walt Disney World resort during this time, you will notice decorations as soon as arrive at your hotel. 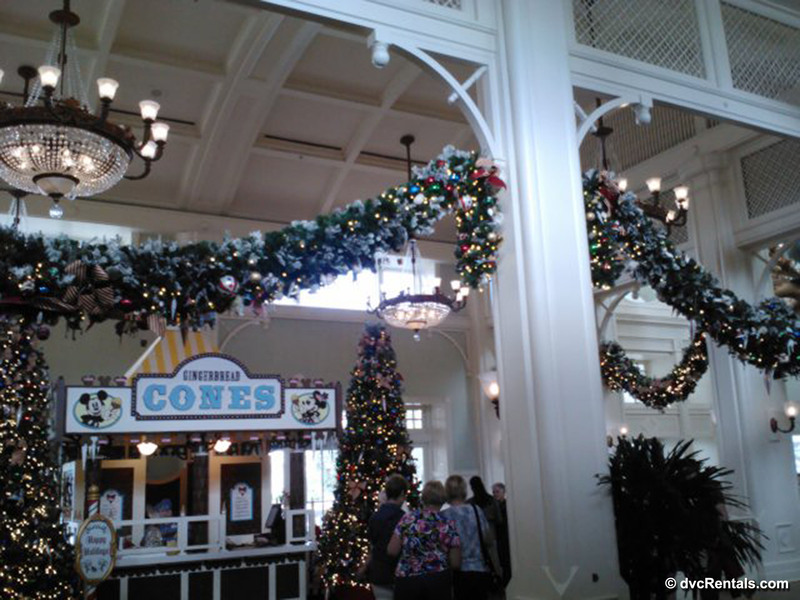 Often the outside of the resort will be adorned with wreaths, but if not you will definitely see décor in the lobby. 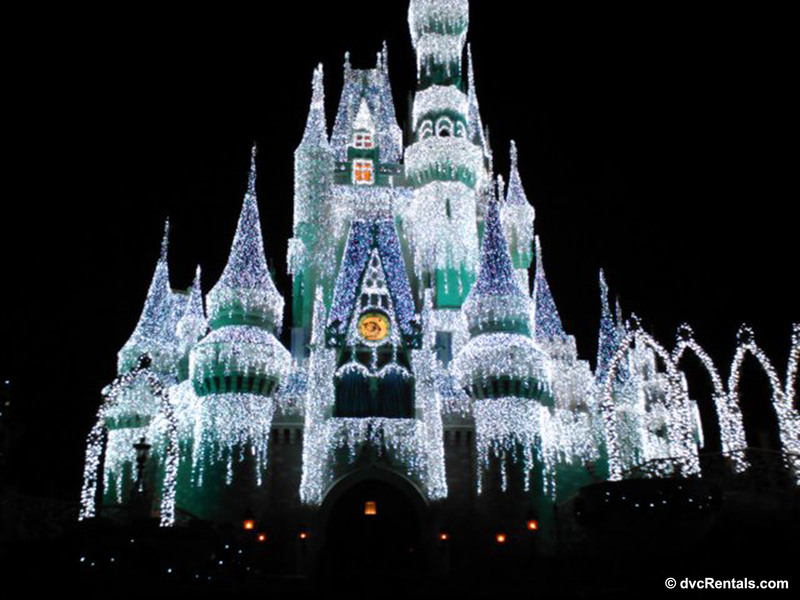 Some are more elaborate than others, but every single Disney World resort will be beautifully enhanced for the holidays. Wherever you are staying, you are more than welcome to tour all of the Disney Resorts, as well as Fort Wilderness Campground (more about the campground later) to enjoy their decorations. I highly recommend a visit to the Grand Floridian, where you can see (and smell!) 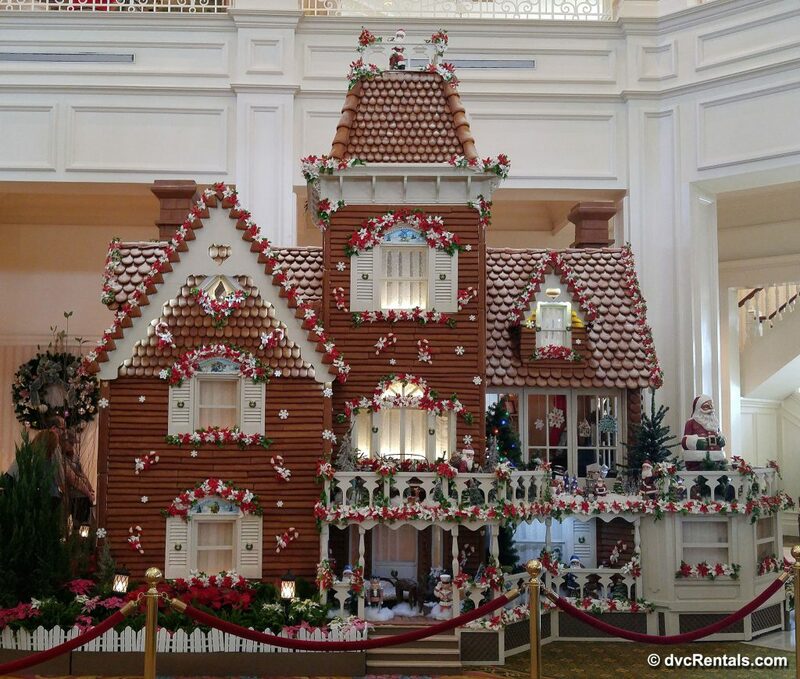 a very large and elaborated decorated Gingerbread House. Gingerbread flavored food items are also available for sale. As the Polynesian and Contemporary Resorts are on the same monorail line as the Grand Floridian, it’s fun to tour them all one after the other. In a similar vein, if you’re staying at a Boardwalk area resort, you have the opportunity to see the beautiful décor at Boardwalk, Beach Club, Yacht Club, Swan and Dolphin. My favorite park to visit during Christmas is Epcot. There is a large tree located between Future World and World Showcase that has remained the same for many years. It is festooned with various designs in addition to displaying ornaments from each country. But in my opinion, the really fun part of visiting Epcot during the holidays is checking out all the different “storytellers” in each country. Each storyteller is unique to the country you’re visiting, and each tells a Christmas related story (at America there are also Hanukkah and Kwanza storytellers). 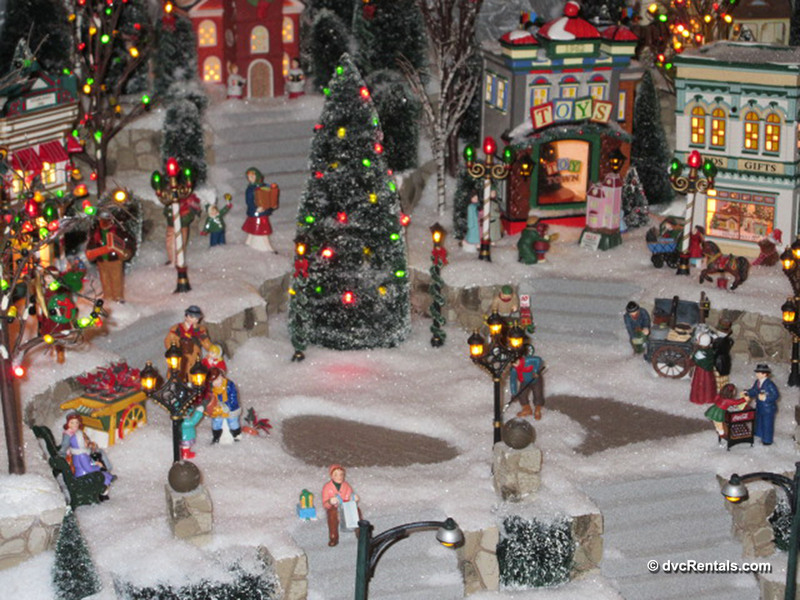 Examples are Father Christmas in the UK and the Nutcracker in Germany. Check the time’s guide to be sure you catch the pavilions that sound most appealing to you. It is tough, but not impossible to do all of them in one day, due to time overlaps. If you are visiting Disney for long enough, you may want to split the storytellers into two visits, so you catch them all. My personal favorite is La Befana in Italy. The Cast Member playing that role has been the same for many years, and she is wonderful. I can’t promise she will be back in 2018, but I sure hope she is. 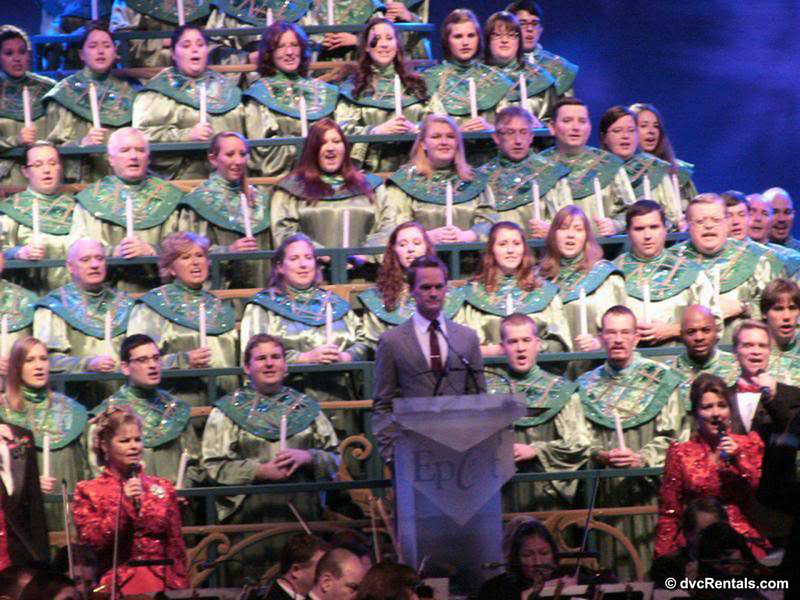 Also in Epcot is the Candlelight Processional. Celebrity narrators (check the schedule for who will be there when) tell the story of Christmas. In addition to the narrator, there is a huge chorus who sing songs of the season during each performance. Disney offers Candlelight Dinner packages which ensure a seat at the show. There is also a standby line. However, some narrators are so popular it’s fruitless to try to get in standby, the dinner package guests fill all the seats. Neil Patrick Harris is one example of this. However, if you don’t mind standing back behind the seats, you can still hear and see all of the shows, even Neil. For many guests, this is the highlight of their trip, and the packages sell out fast, so if you’re interested buy yours before it’s gone. Believe it or not, the packages went on sale July 11 for 2018, so some may be already sold out. More info can be found here: https://disneyworld.disney.go.com/dining/epcot/candlelight-dinner-packages/?CMP=ILC-DPFY18Q2wo0705180711180038C. 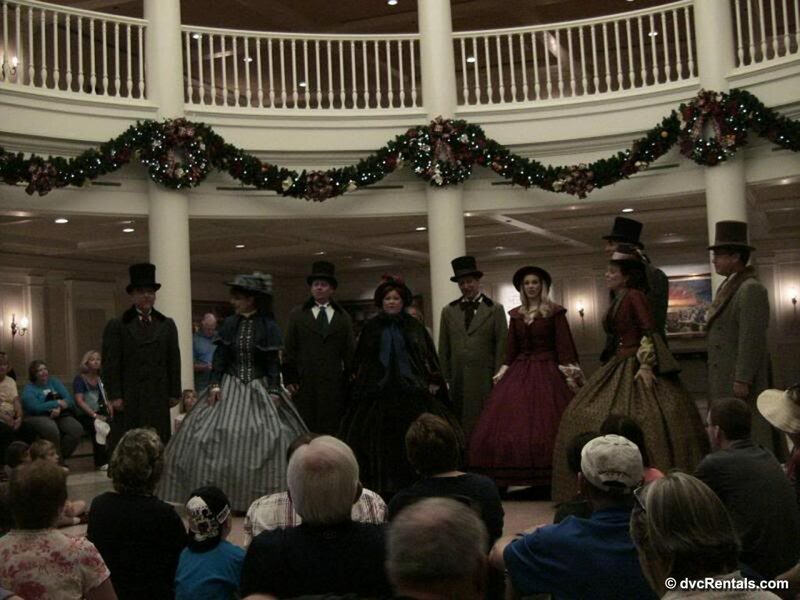 Lastly at Epcot, the Voices of Liberty, the a cappella group who sing all year long at the American Pavilion, are all dressed up in Holiday finery and sing Holiday songs during the season. Although Epcot seems to have the most Holiday fun (at no extra cost to guests), just like the Disney Resorts, all the parks are decorated and celebrate Christmas. For example, the past few years Hollywood Studios has had a special fireworks show called Jingle Bell, Jingle Bam. A light show is projected onto the Chinese Theater, while Christmas songs and narratives are heard over the speakers. The dates for this season are November 8 through January 6. Animal Kingdom has an awesome tree decorated with (what else?) animals at the entrance to the park. Guests can meet Mickey and Minnie in their holiday sweaters at Adventurer Outpost on Discovery Island. In the Dinoland section of the park, the dinosaurs are festooned for the holidays, and Santa Goofy meets with guests and poses for photos intermittently from 11:00 a.m. through park closing. 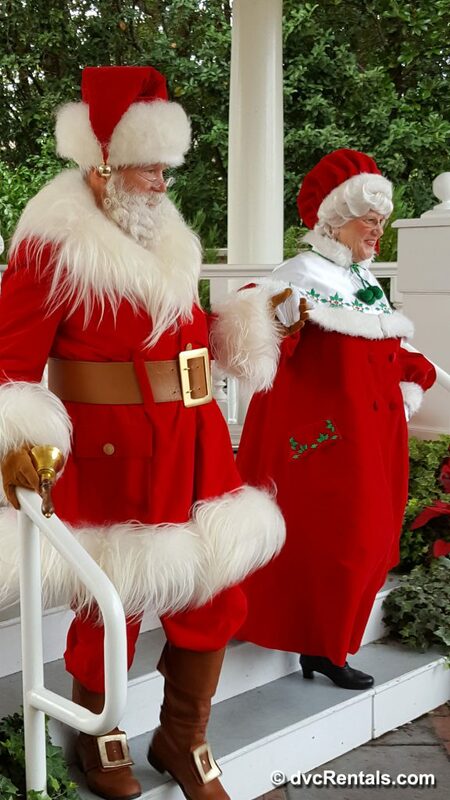 Disney characters dressed in their seasonal best can be found throughout the park. If you’re looking for a really outstanding experience, the Magic Kingdom is home to Mickey’s Very Merry Christmas Party. This is an after-hours event and requires separate paid admission. Although the party starts officially at 7, those with tickets can enter the park at 4 (this has always been the case in previous years, I hope nothing has changed in 2018). You will receive a wristband, guests without wristbands are instructed to leave prior to 7PM. The party ends at midnight. Special party merchandise (fee) and Christmas shows (included in admission to the party) are available to guests. 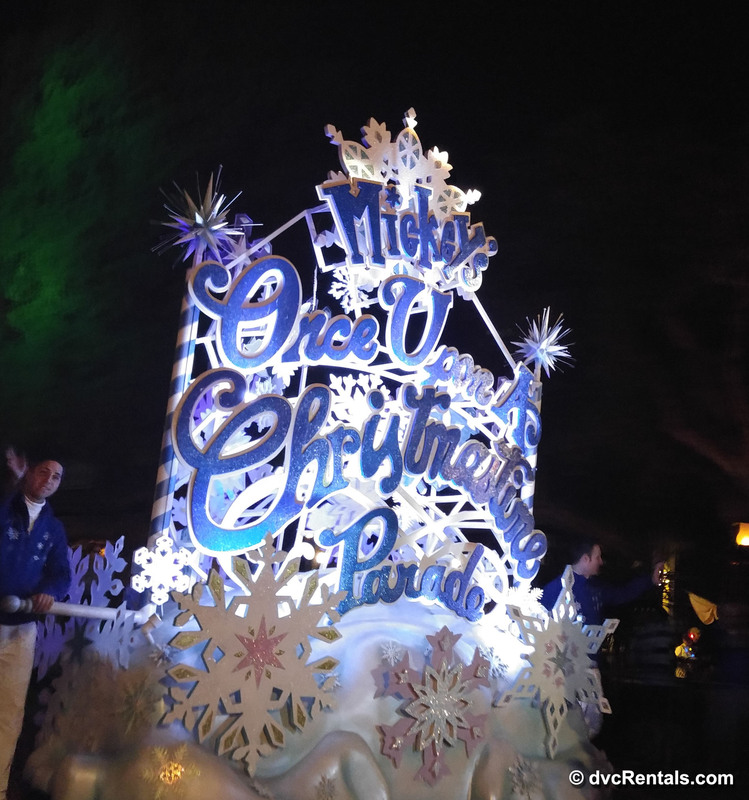 There is a spectacular fireworks show as well as an awesome parade, complete with Marching Wooden Soldiers, Disney characters dressed in Christmas costumes, and (naturally) ending with Santa Claus on his sleigh. Tickets are already on sale for this event! 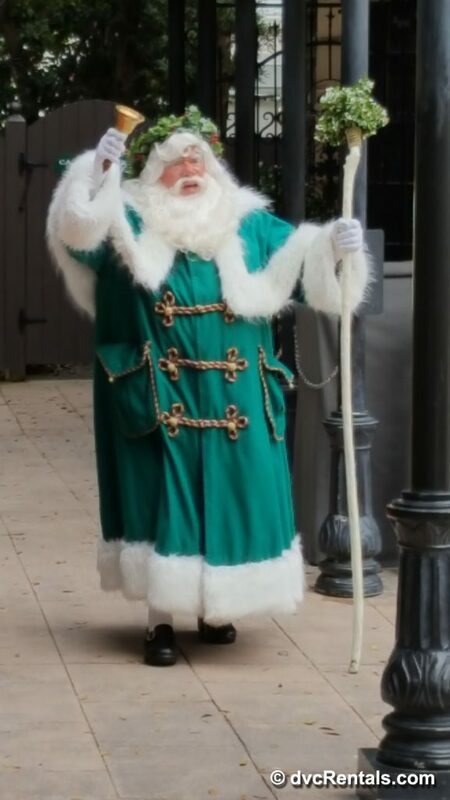 https://disneyworld.disney.go.com/events/mickeys-very-merry-christmas-party/purchase/. 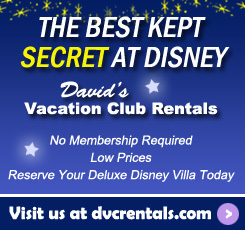 Check for Annual Pass or Disney Vacation Club discounts if you qualify. Dates this year are November 8, 9, 12, 13, 15, 16, 25, 27, 29, 30, December 2, 4, 6, 7, 9, 11, 13, 14, 16, 18, 20, 21. TIP: If you are visiting during Christmas week most of the shows, as well as the parade and fireworks are free to all guests, as there is no Very Merry Christmas party offered during that time. 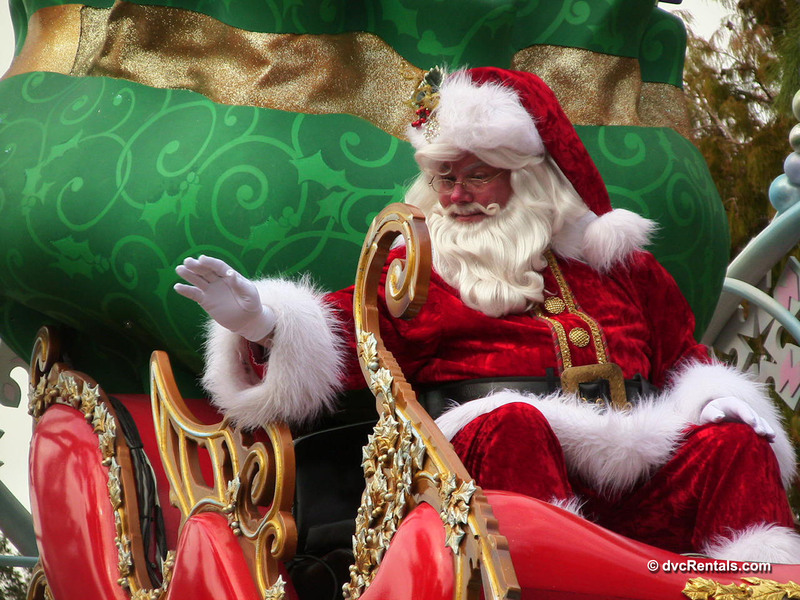 Last year the first Christmas parade for all guests was December 23. 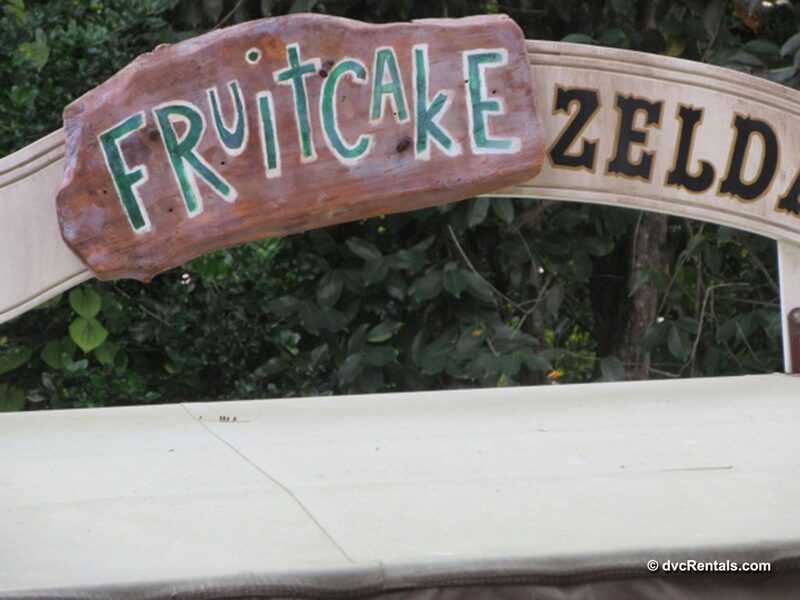 Another tip: The parade starts in Adventureland and ends at the hub at the front of the park. Main Street and the area by the castle are PACKED. I suggest you get a spot in Adventureland at least an hour before the parade is due to start. There are way less people there, plus you will be one of the first to enjoy the parade. 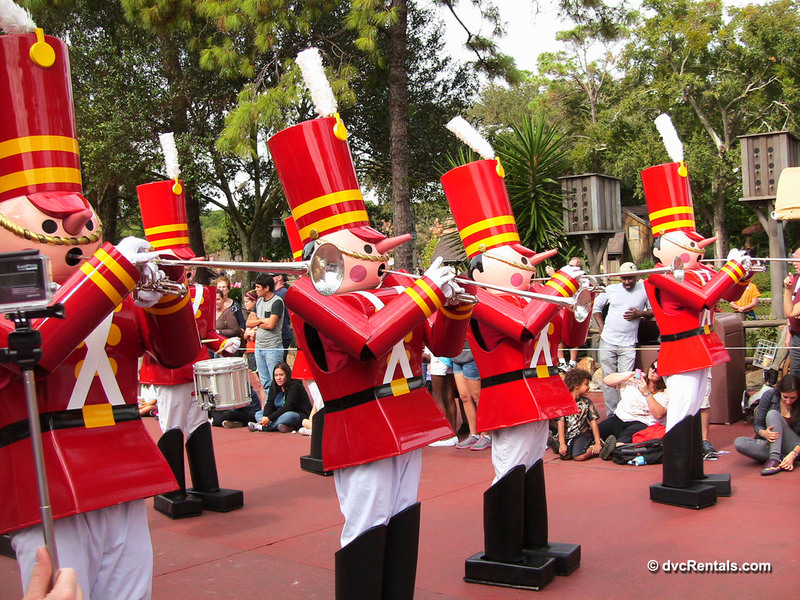 Last tip: If you are attending Mickey’s Very Merry Christmas party there are two showings of the parade. The later one is always less crowded. The opposite is true of Christmas week. Many guests are so accustomed to the Magic Kingdom parade being at 3PM they don’t check their time’s guides to see that there is also a 12 PM showing. The earlier showing is always less crowded than the later one. Additionally, at the Magic Kingdom, Jungle Cruise is all spruced up for the holidays. The boats are renamed with Christmas sounding monikers, and the skipper spiel will be unique for the holidays. I would definitely get a fast pass for this attraction if possible; due to the changes I mentioned the standby line is busier than usual during Christmas. Lastly, I suggest you take a visit to Disney’s Fort Wilderness Campground during the Christmas season. 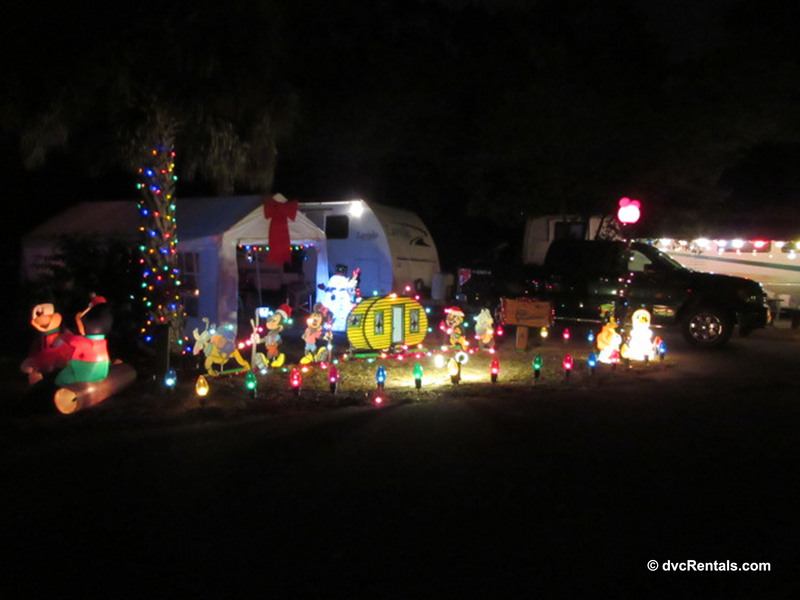 Guests decorate their campers with very elaborate Disney designs for the holidays. Most are lit up at night, which is the best time to check this out. You can walk, or you can rent a carriage (book in advance, it’s hard to get one otherwise) to drive you through the area. 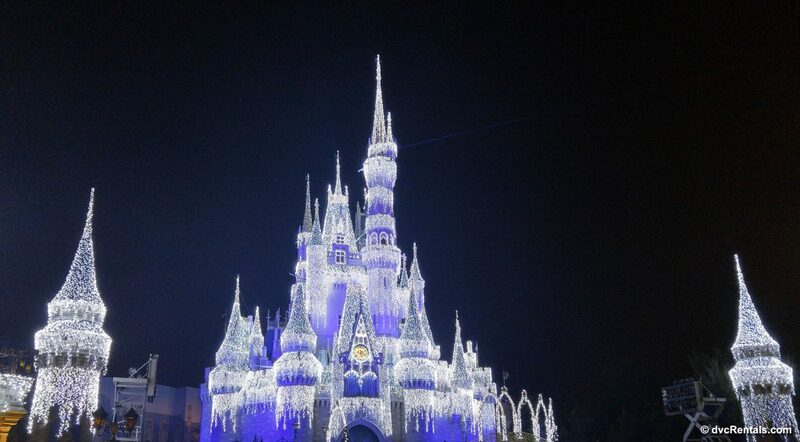 I have no doubt I have left out something, as Walt Disney World really does a great job of celebrating Christmas. If you have a choice try to visit before Christmas week, as the week of Christmas is one of the busiest times to visit The World, and the celebrations begin a month before the actual holiday. It’s a beautiful and particularly fun time to visit; I hope everyone gets a chance to experience the Christmas magic someday if you haven’t already.